Give us a call we have the answers! We also offer our clients FREE document shredding, FREE computer hard drive erasing and 3-hours of FREE professional home cleaning. Estate sales are the smartest way to go when you must clear out a home whether due to the recent passing of a family member, divorce, or a large scale move. A good estate sale company will make more money for you than you could make for yourselves - and you don't have to do any of the work! 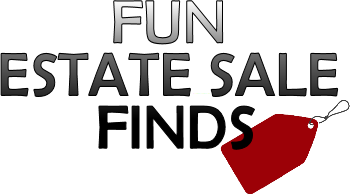 Estate Sales deal with the rapid liquidation of an entire household, from the finest of Antiques to the average contents of a home to maximize profits for you and your family. Because of our sales expertise we manage to sell 80-90% of the entire contents of your home at the fair market value. 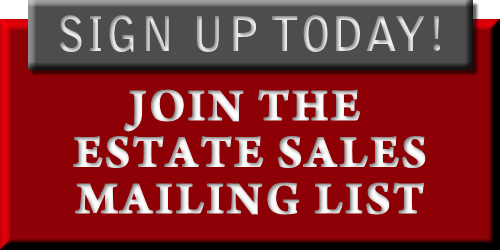 Please take a moment to browse through our site to learn more about Inland Northwest Estate Sales and how we can show you the difference. If you have any questions feel free to contact us. We look forward to hearing from you soon. * Take care of everything! What do YOU need to do? Almost nothing! Call us as soon as possible! Our schedules can fill up quickly -- setting up a sale can take anywhere from one to three weeks, depending on a number of factors. The sooner you call us, the sooner we can get started! Our phone number is 509-795-3835 or you can send us a message here! You have heard the old expression "One man's trash is another man's treasure!" This is true in the estate sale business! Let us worry about what is trash and what is not. Many clients might feel the need to "clean up a bit" before calling us. This is just like throwing away money! Real "trash" can be thrown out later. Do not take a chance - let the professionals decide what is trash and what is not. People collect things for a variety of reasons - or sometimes they're just looking to replace an old favorite of their own or make a repair by finding a missing piece. Remember, if it's REALLY trash, it can always be thrown away later. First, let's see how much "trash" we can turn into "cash"! • Old tools, planters, patio furniture, broken old furniture, dolls, toys, you name it! 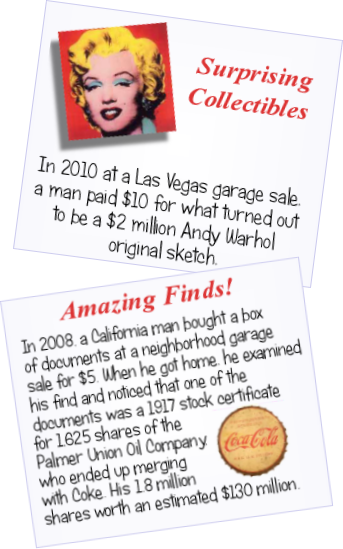 Something to keep in mind -- estate sale professionals have seen it all before. Please do not worry about the house being "a mess" - experience has taught us to look past that & see the value in even the smallest, overlooked items. Estate sales are the ultimate recycling project -- those well loved & often used items in your home will go on to provide someone else with use and/or beauty for many years to come.